It’s touching, inspiring, and empowering. It’s how marketing should be done. But why is it relevant to the rest of us? Not all of us can, will, or want to change the world. There’s an easy answer. 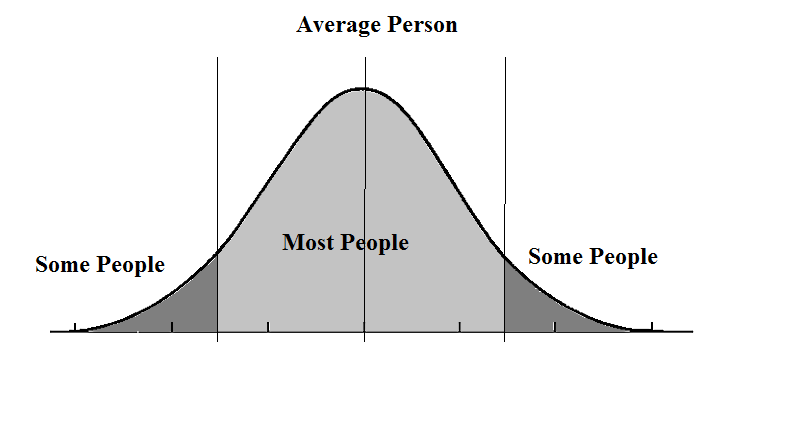 Because you’re not always at the center of a bell-curve, and that’s who the status quo caters to. You live a unique life, and it demands a unique outlook. The status quo is unapologetically biased towards average in EVERY situation. Sometimes, in certain instances, sure, you’ll fall close to the middle of the bell-curve, and that’s fine. But much of the time, you’ll be navigating the corners, and that’s when you’ll be punished. Societial rules don’t cater there. We live in a complex world, and we have complex lives based on a personal combination of memories and emotions. They don’t fit a predefined mold. It’s critical to understand the existing conventions, structures, and systems. They provide a reference point, and more often than not, they are useful. But it’s far more critical to know that they also aren’t set in stone. Outside of the law and the boundaries of modern science, much of reality is flexible. Almost everything around us that we presume to be fixed and static was produced and labeled by other people. There is no law in the universe that invents ideas and implements them. Powerful brains, like yours, do that. For those unfamiliar with the name, Ray Dalio is the founder of investment firm Bridgewater Associates.